Paying for College After Divorce - Advice for Parents | Queens Divorce and Family Law Attorney - Divorce/Family Lawyer in Queens - Bruce Feinstein, Esq. Paying for college is a daunting task even before divorce plays into the equation. So our team recommends negotiating college costs up front. Many couples are so wrapped up in other issues during a divorce that they don’t think down the line. They may be focused on their children’s needs now, but what about a few years later when that child is applying to college? This is a huge responsibility that needs to be tackled no matter how young your children are. The conversation can be as simple as establishing which parent will pay for college, or how to split up the percentages of tuition and other fees like textbooks. That way there is a binding legal agreement when it comes time to start paying those bills. And doing this work now can save you money in the long run, since divorced couples can avoid future legal fees when the issue arises. Another conversation parents need to have during a divorce is one about financial aid forms. The majority of families in the U.S. apply for some form of financial aid, and many use the Free Application for Federal Student Aid (FAFSA) during this process. But which parent should fill out these important forms? According to an article by Reuters on college divorce costs, the FAFSA only looks at the income of the parent the child lives with the most, and it will include the income of a stepparent if applicable. So couples need to discuss which parent should fill out financial aid forms. This conversation may be as easy as determining which parent has a lower income. Some couples agree to a fifty-fifty split of total college costs, while others may have to work out a different plan of who pays tuition, who applies for aid, and who covers out-of-pocket expenses. No matter what the final call is at the end of the divorce, it’s better to talk about it now rather than later, when the college mailers start coming in. There are also best practices for parents who are not divorced. We recommend that couples start a 529 plan as soon they start saving for their children’s future education. 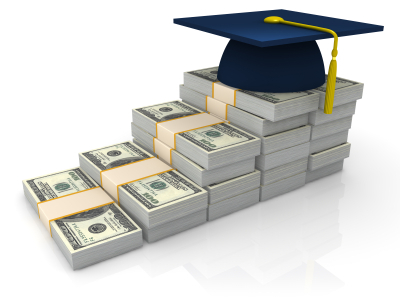 This is a tax-free savings account created to help families save money for college costs. Beyond the clear tax benefits, the 529 plan makes sure that the money goes solely toward a child’s education and nothing else. While opening up a regular savings account for a child’s tuition is good in theory, the funds in that account can technically be used for any service. And if a couple gets divorced, that account may end up being used for an entirely different purpose. If a couple doesn’t have tuition savings secured in a 529 plan and they get divorced it only adds to the list of financial hurdles they need to cross. They can ask their attorneys to try and save those assets for their intended purpose, but it can quickly become an uphill battle. If you are looking for a divorce attorney in Queens, make sure that protecting your child’s college education is part of the conversation you have. To get more information and tips, Contact the Law Offices of Bruce Feinstein, Esq. today for a Free Consultation.